Buying hearing aids is a little more involved than going to the store and picking out a model you like from the options offered. It is a process that takes several appointments. At your first appointment, you have a hearing test and order hearing aids. The second appointment is for a hearing aid fitting, and finally, you’ll come back for a follow-up. The fitting appointment is almost as important as the hearing test and takes anywhere from one to two hours. Here’s what you can expect. 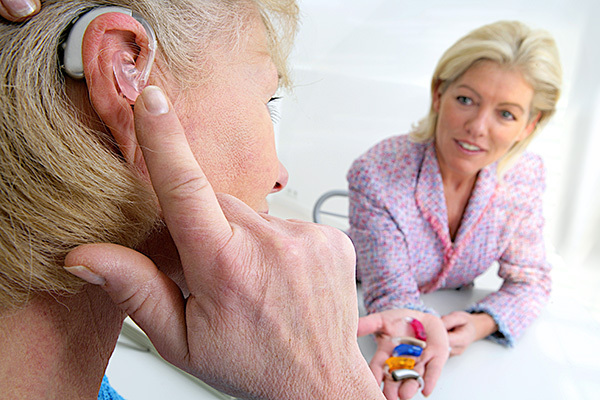 Once you have your hearing aids, you will have a final test. This is the real ear measure test. The audiologist will use a small tube placed in your ear, an exterior microphone and specialized software and equipment to measure the exact sound that is being delivered to your ear by your hearing aid. This test is done while you are wearing the hearing aids. This is an important test because hearing is highly subjective and personal. Two people with the exact same hearing loss may need to have their hearing aids programmed differently because of personal preferences. During the test, the audiologist will check the programming of your hearing aid with a variety of tones and levels. Taking the time to make these personal adjustments can be the difference between successfully wearing hearing aids and tossing them in a drawer unused because they are uncomfortable. The goal of the real ear measure is to make the sound you hear comfortable and clear. Relax, while the audiologist personalizes your hearing experience. Just like wearing contacts, you must learn how to properly insert and remove your hearing aids. The audiologist will have you do this several times until you are completely comfortable handling your hearing aids. Next, the audiologist will give you a plan for wearing your hearing aids during an adjustment period. When you have hearing loss, the brain is deprived of aural input. Your hearing aids will flood your brain with new input. For many people, this is overwhelming and tiring. However, by increasing the amount of time you wear your hearing aids each day, your brain can adjust to the return of auditory input comfortably. Some types of hearing aids can make your own voice sound odd to you. 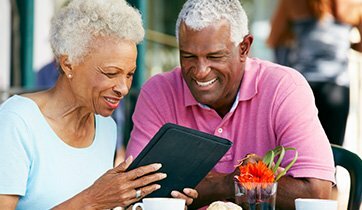 While open fit hearing aids address this issue to some degree, there can still be a period of adjustment. You may be instructed to read aloud from a book or magazine to become accustomed the “new” sound of your own voice. As important as knowing how to insert and remove your hearing aids, you must know how to care for them. Hearing aids require regular cleaning and care. As part of the fitting appointment, the audiologist will teach you how to change the batteries, clean your hearing aids and store them safely each night. If there is anything you don’t understand, don’t be afraid to ask questions. The hearing aid fitting is your formal introduction to wearing hearing aids and a successful fitting leads to success wearing your hearing aids.